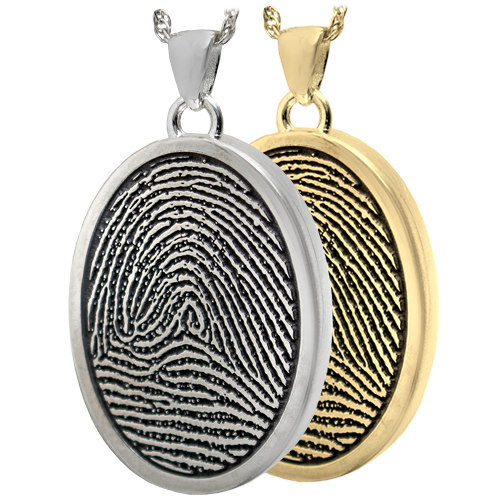 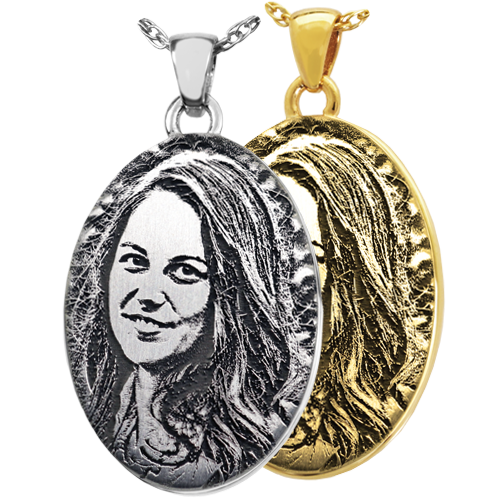 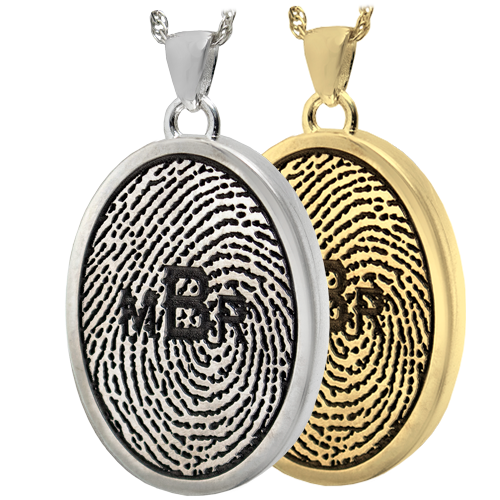 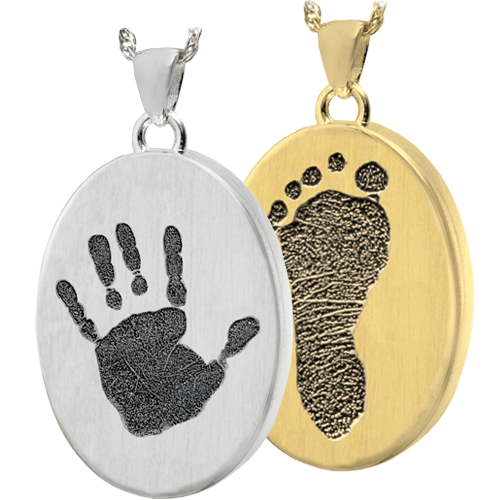 Create a timeless family heirlooom with your loved one's actual fingerprint etched onto a classic oval pendant. 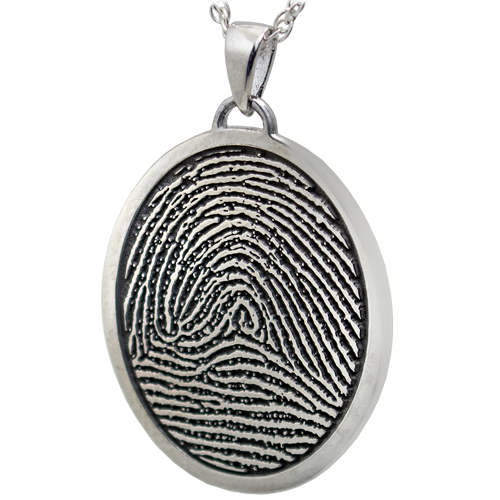 The engraving is so deep, you can feel the raised swirls of the fingerprint with your own fingertips. 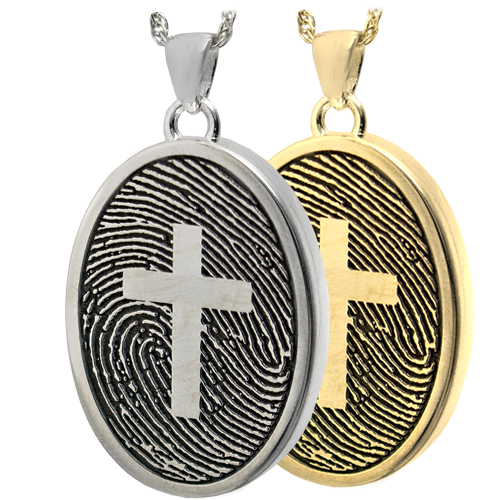 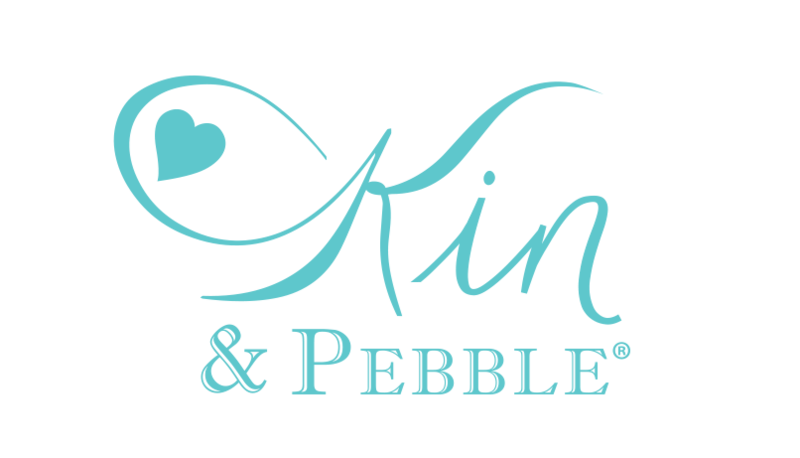 This charm may be worn as a necklace, added to a charm bracelet or key fob. 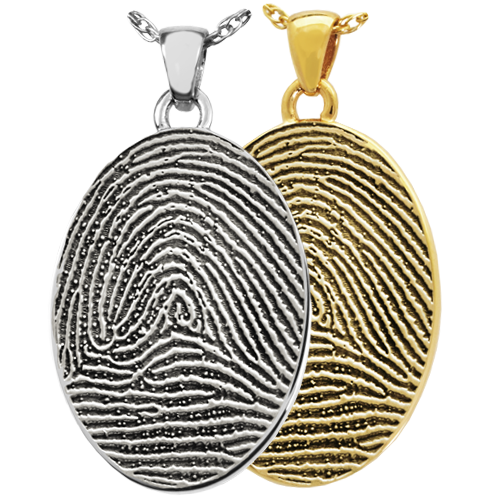 Choose between a full-coverage fingerprint or fingerprint with rim style.